The Spine is a “prosthetic” digital musical instrument developed for the collaborative project Les Gestes, in which we endeavoured to design new instruments for dancers. The new instruments would extrapolate from the T-Stick, which we had already used in the performance Duo pour un violoncelle et un danseur with the same collaborators. Starting with foam prototypes, the Spine and its companion instruments the Rib and the Visor were developed iteratively using participatory design through frequent workshops, parallel problem solving, and digital fabrication methods. 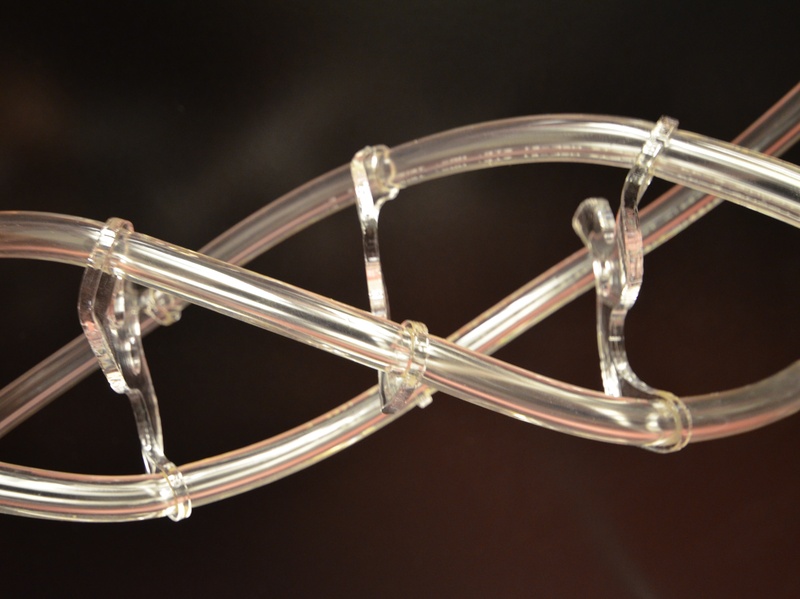 The current models are fabricated from laser-cut transparent acrylic, transparent PVC tubing, and PETg rods. The entire structure is assembled using interference fitting rather than any glues or fasteners. The Spine tracks and reports it’s orientation and shape in real-time, accomplished through the use of inertial and magnetic-field sensing at each end of the structure. 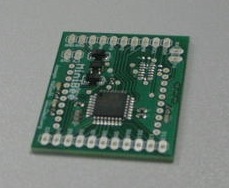 Sensor-fusion algorithms run on-board the instrument. I have previously blogged some teaser photos and a couple of videos showing a demonstration of the orientation and deformation sensing I developed for the Spine and a promo for the upcoming shows. Here’s a promo video for the project Les Gestes, posted by our collaborators Van Grimde Corps Secrets. The prosthetic digital instruments worn by the dancers were conceived and developed by myself and my colleague Ian Hattwick in the IDMIL. 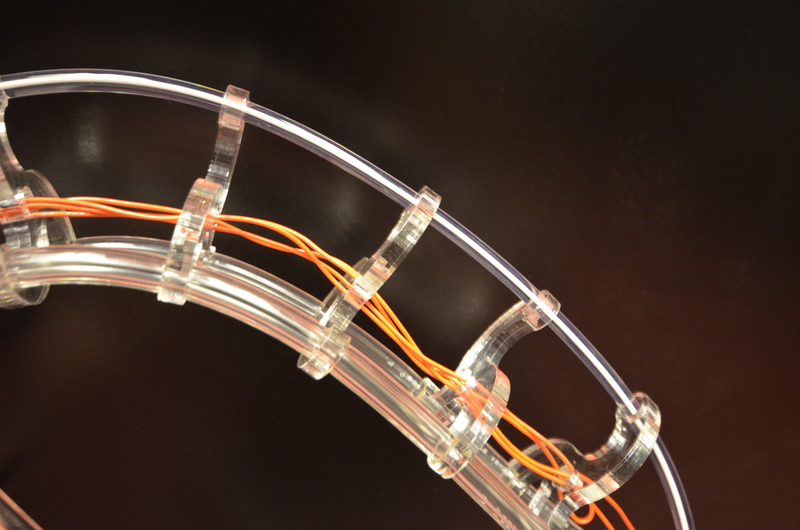 Here are a couple of teaser photos from the development of the “Spine” digital musical instrument for the Gestes Project. Design, development and construction by Joseph Malloch, Ian Hattwick, and Anthony Piciacchia. 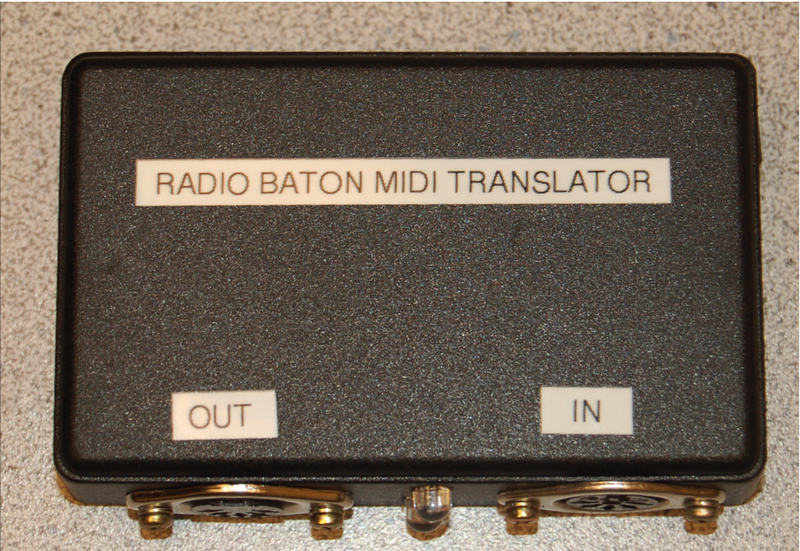 Originally referred to as an electronic drum controller, the Radio Baton consists of two batons which are in essence radio transmitters. It employs a near-field capacitive measurement. 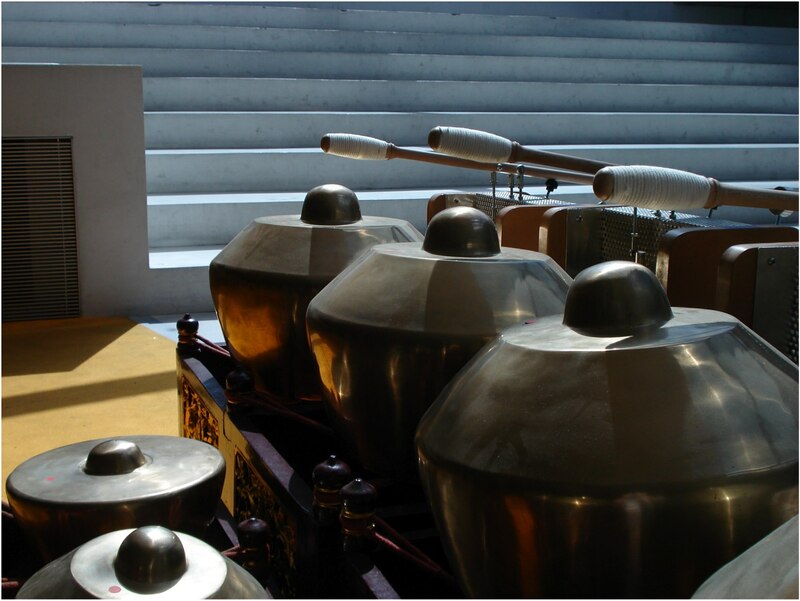 Each baton is driven by an oscillator at a different frequency (50 kHz and 55 kHz respectively) so as to allow for independent tracking of both. They are tracked over a rectangular tablet that houses two pairs of shaped radio receiving antennas. The first pair is shaped so that the X coordinate of each baton can be determined as close to linearly as possible; similarly, the final pair corresponds to the Y coordinate. These coordinates refer to the horizontal plane in front of the user. The incoming signals are processed by a CPU such that a vertical Z-coordinate up to 15 centimeters above the surface is also output. The IDMIL is currently improving the data-capture methods used by Casciato by improving synchronization and sample-rates and reducing latency and jitter. One problem is that while the Radio Baton outputs MIDI, the messages are all “Poly Aftertouch” messages, even when the device is struck like a drum. Previously this was dealt with by using a general purpose computer to listen to the MIDI datastream and output “note on” messages when appropriate. The MIDI was then routed to a Roland TD-20 drum sound module. Photos taken at Casa da Musica, the host of this year’s Sound and Music Computing Conference in Porto, Portugal. 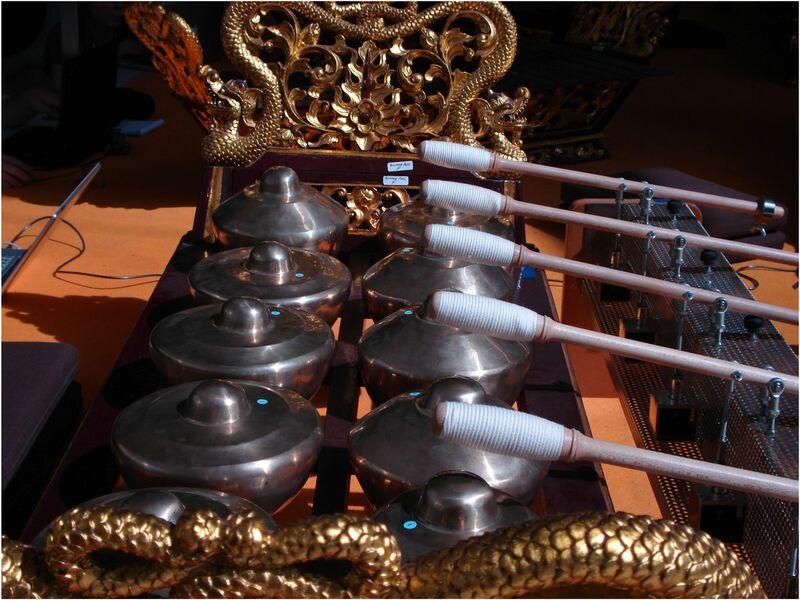 I had the opportunity to work with this amazing instrument over the past four days – sound/video coming soon! is a small, arduino-like circuit board I designed for the SenseStage project, a collaboration between the IDMIL and Chris Salter‘s lab at Concordia University. 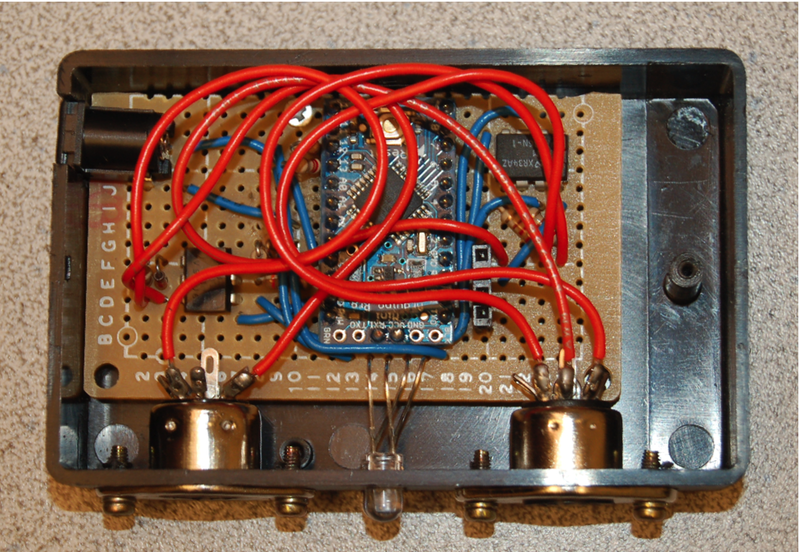 The boards include the footprint for a XBee mesh-networking wireless transceiver, creating compact, low-cost sensing nodes which we are now using for investigating ubiquitous computing in the media arts.